On episode 2 of the RCV Southern Overland Adventure 2018 we really get into some Adventuring. We start out with an abandoned train, then a Brushy State Prison Tour, all followed up with a long ride through an abandoned train tunnel. 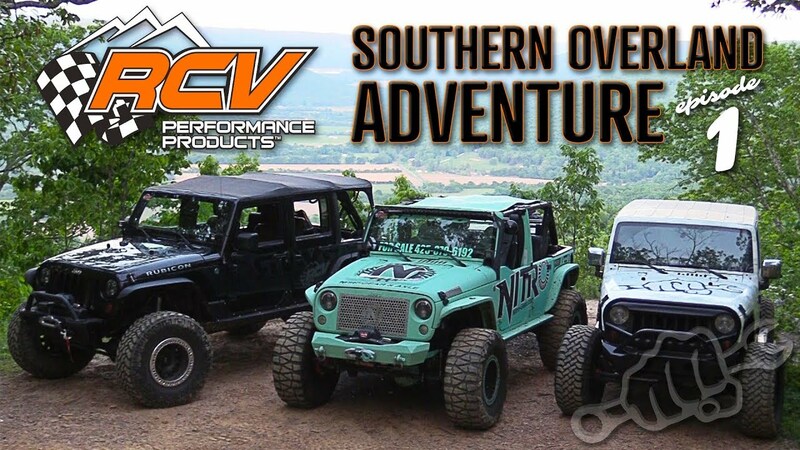 We made the hour long track in our mildy built Jeep JKUs to the edges of Windrock Park in Oliver Springs, Tennessee to check out an abandoned train. This train was actually an old commuter train that they had planned on using for tours up and down the mountain at the park. The plan fell through and here it still sits abandoned on the side of the trail for us to explore. Surprisingly enough the train’s interior wasn’t in that bad of shape. A cabin or bed and breakfast could easily be made from the train. Then we headed off to the Brushy State Prison for a ghost tour. Brushy Mountain State Prison is most famously known for the escape of James Earl Ray. He is credited with the assassination of Martin Luther King Jr. There is a lot of crazy history to this place that led to it getting haunted and we go over many of these stories with our fearless tour guide. We end the day by finding the longest abandoned train tunnel in Tennessee aka the Nemo Tunnel. The tunnel is hidden down some dirt roads near the Catoosa Wildlife Area. The best part is that people with off road vehicles are allowed to drive through it. Depending on rainfall there is usually up to two feet of water in parts of the tunnel. It is also super long with a curve at the end so you cannot see the end of the tunnel when you enter. This means you need some good lighting to light your way and not crash into the walls. We also found some fun hill climbs for the Jeeps. Finally it was time to get back on the back roads to Busted Knuckle Off Road Park for our final trail day of the trip. Stay tuned for that on Episode 3. Check out SOA episode 1 by clicking the image below.